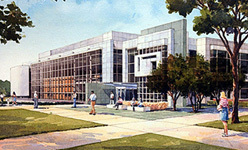 Center for Analytical Instrumentation Development. The mission of the Center is to develop innovative “machine-tools of science” that enable discoveries across a broad spectrum of life science. These activities will lead to routine, point-of-need devices for use in drug discovery, clinical diagnostics, environmental monitoring, and the fight against chemical and biological terrorism.